March 16, 2009 — Have African-American intellectuals abandoned the Civil Rights Movement? Do black academics need to reengage the larger community, and if so, how? What is the relationship between contemporary politics and popular culture? Some of the nation’s most prominent African-American writers and thinkers will address these questions and more during the 2009 Callaloo Conference, which takes place March 25-28 at Washington University in St. Louis. Organized by Callaloo, the nation’s premiere African-American and African literary journal, the conference is hosted by the departments of English and African & African-American Studies, both in Arts & Sciences. “This Callaloo conference focuses on a long ignored national problem: the complex and burdensome positions and responsibilities black artists and intellectuals are expected to assume in society and in institutions of higher education,” says editor Charles H. Rowell, who founded the journal in 1976. Participants in the conference, which is titled “The Intellectual’s Dilemma: Production and Praxis in the Twenty-first Century,” will include more than a dozen celebrated authors, poets and scholars. Events begin at 8 p.m. Wednesday, March 25, with a keynote address by best-selling cultural critic Michael Eric Dyson, the University Professor of Sociology at Georgetown University and author, most recently, of April 4, 1968: Martin Luther King Jr.’s Death and How It Changed America (2008). Other events will include readings by Pulitzer Prize-winning poets Rita Dove and Yusef Komunyakaa, respectively at 8 p.m. Thursday and Friday, March 26 and 27. Panel discussions will focus on recent books by the influential academics Houston A. Baker Jr, and Richard Iton — both of whom will be in attendance — as well as on works by Harold Cruse, bell hooks and Cornell West. The conference will conclude Saturday, March 28, with a series of informal readings beginning at 5 p.m. in the Ethiopian restaurant Queen of Sheba, 6665 Olive Blvd. All events are free and open to the public and — other than the concluding readings —take place on Washington University’s Danforth Campus. For more information, contact Anton DiSclafani, lecturer in the Department of English, at [email protected] or (314) 935-5047. 5 p.m. Queen of Sheba, 6665 Olive Blvd. Houston A. Baker Jr. has written widely on African-American literature and is author of, most recently, Betrayal: How Black Intellectuals Have Abandoned the Ideals of the Civil Rights Era (2008). Other volumes include I Don’t Hate the South: Reflections on Faulkner, Family, and the South (2007); Turning South Again: Re-thinking Modernism/Re-reading Booker T. (2001); Black Studies, Rap, and the Academy (1995) and Blues, Ideology, and Afro-American Literature: A Vernacular Theory (1984). Baker is also a published poet whose most recent volume is Passing Over (2000). He currently serves as Distinguished University Professor and professor of English at Vanderbilt University and has served as editor of American Literature and as president of the Modern Language Association of America. Rita Dove is Chancellor of The Academy of American Poets and the first African-American appointed Poet Laureate of the United States, serving from 1993 to 1995. Her eight collections include The Yellow House on the Corner (1980); Museum (1983); Thomas and Beulah (1986), which received the Pulitzer Prize; Grace Notes (1989), Selected Poems (1993), Mother Love (1995), On the Bus with Rosa Parks (1999) and American Smooth (2004). Her latest collection, Sonata Mulattica, will be published this spring. Other works include the story collection Fifth Sunday (1985), the novel Through the Ivory Gate (1992), the essay collection The Poet’s World (1995) and the play The Darker Face of the Earth (1996). She currently serves as Commonwealth Professor of English at the University of Virginia in Charlottesville. Michael Eric Dyson is a best-selling author, scholar and cultural critic who has hosted radio programs and served as a frequent commentator for NPR, CNN and the HBO program Real Time with Bill Maher. His 16 books include Holler if You Hear Me: Searching for Tupac Shakur (2001), Is Bill Cosby Right? Or Has the Black Middle Class Lost Its Mind (2005) and I May Not Get There With You: The True Martin Luther King Jr. (2000). His most recent volume is April 4, 1968: Martin Luther King Jr.’s Death and How It Changed America (2008), hailed by the Washington Post as “an excellent sociological primer on institutionalized racism in America.” He is currently University Professor of Sociology at Georgetown University. Richard Iton is the author of In Search of the Black Fantastic: Politics and Popular Culture in the Post-Civil Rights Era (2008), which explores the relationship between popular culture and institutionalized politics. His previous book, Solidarity Blues: Race, Culture and the American Left (2000), won the 2001 Gustavus Myers Outstanding Book award and the 2000 Best Book Award on the Social, Cultural, and Ideological Construction of Race from the American Political Science Association. He is currently professor of political science at the University of Toronto. 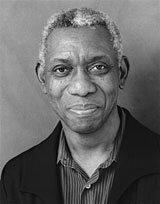 Yusef Komunyakaa is among the most influential American poets writing today and the author of eight collections, most recently Taboo: The Wishbone Trilogy, Part 1 (2004). Other volumes include Pleasure Dome: New & Collected Poems, 1975-1999 (2001); Talking Dirty to the Gods (2000); Thieves of Paradise (1998), a finalist for the National Book Critics Circle Award; Neon Vernacular: New & Selected Poems 1977-1989 (1993), winner of the Pulitzer Prize; Magic City (1992); Dien Cai Dau (1988); I Apologize for the Eyes in My Head (1986); and Copacetic (1984). In 1999 he was elected a Chancellor of The Academy of American Poets.